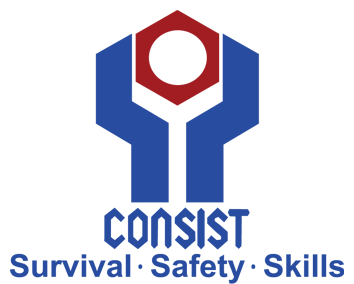 CONSIST TRAINING CENTRE or CONSTRUCTION AND INDUSTRIAL SAFETY TRAINING CENTRE SDN. BHD. was established in 1996 to focus on short-term Safety and Occupational Health related courses for the industries. 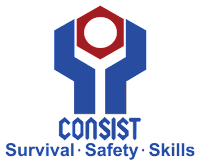 CONSIST Training Centre has developed a wide range of courses to fulfill the requirement of the industries such as Oil & Gas, Construction, Marine, Manufacturing, Petro-Chemical and others. CONSIST has always strive to deliver the best quality services to its clients. Since her incorporation in 1996, CONSIST has been receiving local and international recognition for its services. Among the recognition and accreditations received are from PETRONAS and PSC's such as SHELL, EXXONMOBIL, TALISMAN, NIPPON OIL, MURPHY OIL & PETROFAC to conduct training for offshore workforce, Marine Department / International Marine Organization to conduct training for Seafarers, Department of Occupational Safety and Health Malaysia (DOSH) and Construction Industry Development Board (CIDB) to conduct training for workers in the construction and other industries. In 2002 CONSIST Training Centre received ISO 9001-2000 Quality Certificate and in 2004 CONSIST received an excellent award from Malaysia Canada Business Council for best service company category.